An ever popular location, the West Country attracts a constant stream of visitors from home and abroad. A self-catering cottage holiday allows you to have a comfortable base in the West Country and the freedom and flexibility to explore Cornwall, Devon and Somerset on your terms. Eat when you want, where you want. Try the local cream teas, fish and chips, cider or gourmet meals - the choices are all yours. You will enjoy beautiful scenery, the best of the British weather, and all you have to do is to decide on your location and setting. Coastal? rural? Village? Town?. There are numerous lovely holiday cottages in the West Country. Holiday cottages near beautiful gardens. If you like gardens, a big draw to Cornwall in the West Country is the Eden project where micro-environments are created under huge glass domes. There are also the Lost Gardens of Heligan to rediscover and enjoy. Click here for a list of holiday cottages convenient for the Eden Project. If you're the type of person who likes to experience peace and nature at its finest with wild ponies and other wildlife to spot and photograph, then Bodmin and Exmoor could be for you. Find pretty historical cottages set at the foot of the Brendon Hills within Exmoor National Park, an excellent area for walking, cycling and enjoying the outdoors. There is a variety of good quality holiday cottages to rent for a week or more, many with views of Exmoor. Some of the cottages are centuries old, overflowing with character, some dating back to the 18th century with wonderful features such as wood floors, log burner and inglenooks and exposed wooden beams. We offer a wide selection of dog-friendly cottages for company on those walks across Exmoor. Today's, high quality self-catering accommodation in Exmoor offers essential modern conveniences such as a TV, dishwasher, washer-dryer and microwave. Many cottages have their own attractive and private garden where you can sit out on hot summer days. With a barbeque, bench and outdoor seating area, such gardens are superbly equipped for summer living. With a well equipped kitchen and great barbeque facilities you may never want to eat out but should you wish to there are recommended local pubs just a short, easy walk away which serve good food. Although in a beautiful country setting, the coast is just 3 miles away allowing you to successfully blend a coastal and country holiday here. Parking is usually available for at least one vehicle. Obtain more information and photographs of Exmoor and national parks in the West Country. If you fancy the idea of renting a cottage in the West Country with a swimming pool then take a look at some of our luxurious holiday cottages in Bude, Cornwall. With a mix of 4 and 5 star rated properties and excellent shared leisure facilities that include an indoor swimming pool, games room, sauna, tennis courts and a fitness room. There is a wide selection of high quality cottages that you can trust at this location near Bude in Cornwall. Rent anything from cottages sleeping 2 up to a large farmhouse. Find a list of West Country cottages sleeping 2 if you need one bedroom cottages for couples. Self-catering country cottages close to the Camel Trail in Cornwall - a long distance cycle and foot path for safe cycling and walking for families away from the road. There is a selection of 2 and 3 bedroom holiday cottages located on the Honicombe Holiday Village in the scenic Tamar Valley. These Cornish cottage sleeps up to 6 and is set near to some glorious countryside. Dartmoor National Park is just a few miles away and the Cornish coast with its beaches and coves is also just an easy drive away. 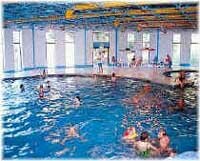 What’s more thes affordable cottages also have use of some excellent shared leisure facilities at Honicombe Manor which include an indoor and outdoor swimming pool, games room, gym and tennis courts. Click on the image for more details of Tamar holiday cottage near Looe in Cornwall. Cornwall is not that large an expanse to cover if you want to go for days out to different locations. A trip to the Lizard in the south or iconic Land's End is not out of the question in terms of distance as long as you have a vehicle to drive. 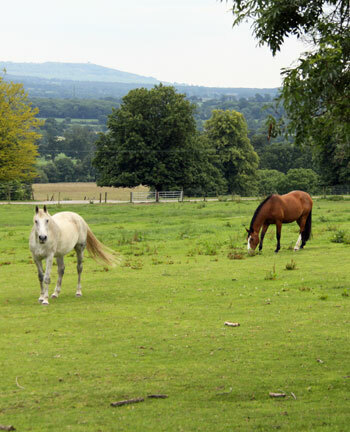 5 star rural country cottages located on an organic farm near the Blackdown Hills in Devon. The cottages have been officially rated and offer high quality accommodation. There are a range of sizes, some sleep 2 whereas others sleep 3, 4, 5 or 6. Some of these cottages have won various awards including Visit Devon Silver Awards, Visit England Gold Awards and Green Tourism Gold Awards. There are amazing leisure facilities here which guests share including a games room, fitness suite, 8 person hot tub and games lawn. With such facilities, these cottages are likely to appeal to groups or families. All four cottages can be rented by one group to have exclusive use of the site and a very private holiday. 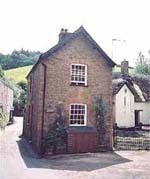 If you would like to consider alternative West Country cottages sleeping 12 or more, they can be found using the Country Cottages Search facility. To book your cottage now, click on the image for details. 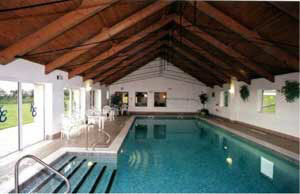 Click on photograph for more information about these luxury cottages in the West Country.